When planning a deck project, choosing the right material is key to the enjoyment and value you’ll get from your outdoor living space. Today, there are more choices in decking materials than ever before, including high-performance composites, which are increasingly replacing wood in backyards across the country. 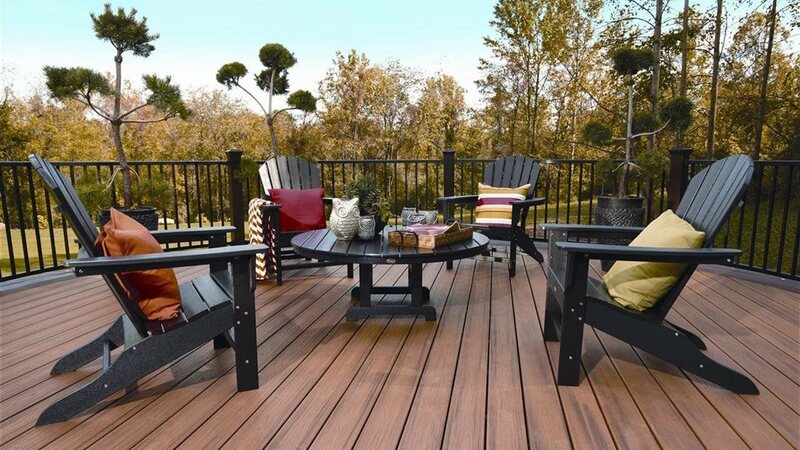 Unlike wood, high-performance composite decking resists fading, scratching and mold — and won’t rot, warp, crack or splinter. Wood decking does not age gracefully, even with regular maintenance — including washing, staining and sealing that can take several days and a considerable number of materials and tools. Composites require minimal upkeep. You never need to worry about painful splinters or the laborious sanding, staining or painting — just an occasional soap-and-water cleaning will do the trick. The aesthetics of composite decking have evolved considerably over the years. Today’s offerings feature high-definition wood-grain patterns that are nearly indistinguishable from real wood textures. 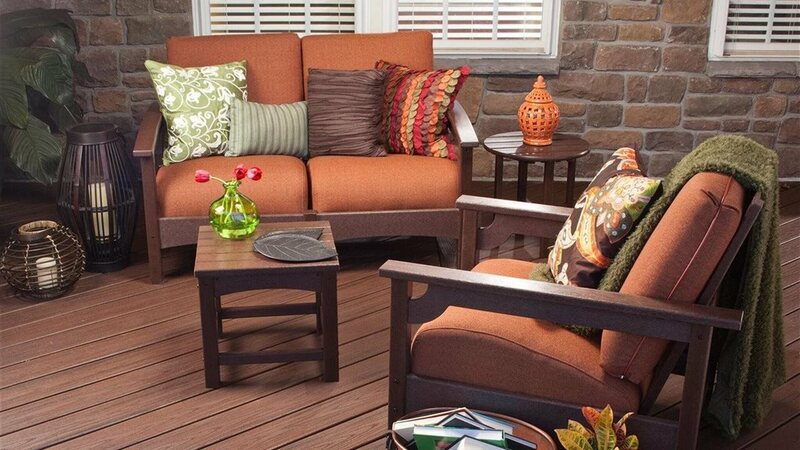 Additionally, composite decking comes in a wider variety of color options to complement the exterior of any home. Ranging from rich browns and warm umbers to spicy reds and pristine grays, composites are more natural than ever before and boast a vibrancy that remains unchanged without having to stain and re-stain year after year. Wood might be a natural material, but the chemical coatings used to protect the wood from rot and mold are not. Composite decking, on the other hand, uses few chemicals in its manufacturing and the upkeep is simple — just soap and water. Additionally, Trex decking is made from 95 percent recycled materials, including plastic film recycled from a variety of items, such as grocery bags and newspaper sleeves. The company repurposes more than 400 million pounds of plastic and wood particles annually that would otherwise end up in landfills. What’s the difference between “capped” and “uncapped” composites? Early generations of composite decking were “uncapped,” leaving them vulnerable to staining, fading, mold and mildew. The leading composite products available today are “capped” with a protective outer layer that is bonded to the core during the manufacturing process. This “shell” contains UV inhibitors and other ingredients to ensure the deck boards retain their aesthetics and durability. In addition to resisting fading, staining and mold, they won’t rot crack or splinter like wood and require minimal maintenance.